Building stronger community and happy families - one loan at a time. Membership Eligibility to be a Member of Lee Federal Credit Union: You must be a member of the Lee On Dong Association. You can also become a member if you are the current spouse, child or parent of a member. To determine if you are eligible for the credit union’s membership, please contact Lee Federal Credit Union. The first branch of the Lee Family Credit Unions began as the personal concept and goal of a local Washingtonian, KL Lee. He, along with a handful of local Chinatown leaders, initiated, guided, and pushed the idea of a Credit Union run by and for Lee family members. The historical and cultural basis that drove the founding of such a “strange idea” as a credit union is based on the traditional Chinese concept of family obligation and the common bond of helping each other. The idea that no matter what happens, one can always depend upon one’s family to help and to provide both moral and financial support over difficult times. KL Lee sold life insurance to local Chinese immigrant families and understood the importance of investing in the future and being prepared for hard times. 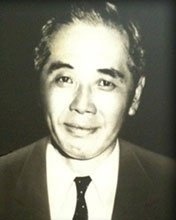 He felt a credit union was an excellent way to assimilate the Chinese natural tendency toward thriftiness into the Western cultural concept of a regulated financial institution, and to encourage Lees just arriving into the United States to invest and save for not only their retirement but for the education of the younger generation growing up as Chinese Americans. In the 1940′s and 50′s, there was little opportunity for a newly arrived immigrant who had little English to have opportunities to deal with American financial institutions or to establish trust for such places. So, why not develop a Credit Union for the Lee family? It supported the traditional concept of families helping its members; it provided its investors a legal assurance that the money they put into the credit union would be taken care of and invested to grow their funds; and it helped to provide for the future of new generations of Lees through the provision of savings and of loans. The concept worked. As President of the Eastern region of the Lee Association, he spoke to other Lees across the country of the advantages for formalizing the idea of family members helping each other, and with the presidents of the San Francisco and New York Family Associations, worked through the legalities necessary to convince the Bureau of Federal Credit Unions that the Lee family itself formed a good common bond, strong enough to build and to sustain a successful credit union. Washington DC was the first Chinese community to totally embrace this idea, and with the help of the DC Lee Family Association as sponsor, the Washington DC chapter was born when it was granted a charter in 1962 — the first issued to a group whose sole bond was being a family member, and the first to ANY Chinese organization. Beginning on November 11, 1962, the doors opened for one day each week. That first day, 27 charter members deposited $402.50. Today, the Washington DC Lee Federal Credit has over 800 members and over $7 million in assets. KL Lee’s dream of building a foundation for a chain of Lee credit unions across the country was realized with the granting of 6 additional Lee Credit union charters for branches located from San Francisco to Boston. What is most amazing about Washington’s success, as that of most of the others nationwide, is that it was built by a sense of strong community spirit, run and guided by volunteers only — by local Lee family members who were introduced to the credit union as children, began working in the office as teens or young adults, and who grew with the credit union over the past 30 years or so to donate their spare time and energies to continuing the effort of making it meaningful to today’s Chinese community. Today’s community has evolved from first-generation immigrants living in an insulated Chinatown with few opportunities for access to an established financial institution to a community of integrated second, third, and fourth generation Chinese Americans living in the suburbs. The spirit of thriftiness and family support continues as the credit union is still run by volunteers, who strive to meet the challenge of relevancy in the face of rapidly changing times, lifestyles, savings and spending habits, and financial regulations.